carls piano lessons starts with you. All lessons take place in your home. This saves valuable time and energy. Learning at home is also a safe, familiar environment. I am a university trained teacher and have over ten years teaching experience. Because of my training and experience, I think and prepare lessons as a professional and recognize that learning should be fun. I take my students needs very seriously, often writing custom arrangements of music that students actually want to learn. Students may request a song and I write out an arrangement for them, anything from Frank Sinatra to Maroon 5. What better way to stay motivated? Music studios lock you in with a set term for lessons. 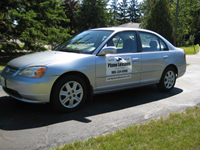 carls piano lessons allows you purchase lessons on a month-to-month basis. For more in-depth information inquire for rates and my studio policy. All studios charge new students a registration fee to cover overhead costs. 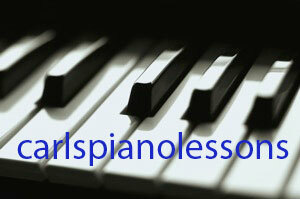 carls piano lessons is different: there is no registration fee. Forgot what you were supposed to practice or do you need futher information on how your child should be practicing before the next lesson? Introducing the StudentZone, yours free when you sign up with carls piano lessons. Login to the StudentZone to find all the instructions from your recent piano lessons, download practice sheets to keep track of your progress, discuss piano techniques or music with other students, or ask me, your instructor questions.